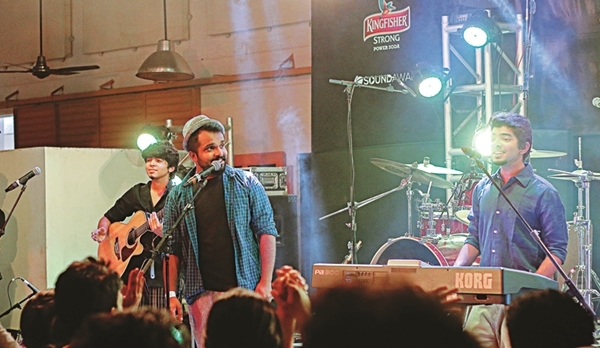 Ashwin Gopakumar and Achyuth Jaigopal started the band in January and were then joined by Richy Sebastian, whom they like to call the peanut butter to their chai and toast. Before their debut at the Hard Rock Cafe this Thursday, Gopakumar introduces us to the band and their beats. The history behind the name. As most bands will tell you, it is the hardest to pick a name. But one thing was certain a�� we wanted something to reflect our happy and simple music. Through our initial stage of starting out, our morning chai and toast was our happy formula. And the rest, as they say, is history. Tell us more about your sound. While we dona��t have a a�?uniquea�� sound we like to call ourselves an a�?upbeat acoustic trio from the Land of Coconutsa��! We have an acoustic setup and unique brand of infectious happy music, which transcends age, genre and even language. While I was a metal head with long hair and a different avatar even five years ago, Richy was into the Malayalam and commercial music industry. Achyuth was into his own world of finger-style guitaring. But there still are some common influences that keep us going. Coachella for sure. Playing alongside a lineup with AC/DC, Alt-J, Angus and Julia Stone, Florence + The Machine, Kimbra among others, all in a single weekend would be an absolute high. Michael Jackson, without a doubt! Avial, Pentagram, Raghu Dixit, Motherjane, Demonic Resurrection. They are all part of the indie music scene we grew up in. They helped, mentored and paved way for a lot of other bands in the country. We are planning to make everyone sing and dance along with us. Or at least wea��ll try to do that! Our policy is to make sure that people come in through the door with a big smile, and more importantly leave with one too.